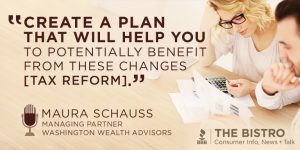 Maura Schauss, Managing Partner of Washington Wealth Advisors is back to walk us through the details of the Tax Cuts and Jobs Act Legislation and offers some very helpful advice on navigating through changes that affect us. It is said that content is king. 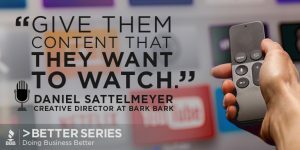 Daniel Sattelmeyer, Creative Director for Bark Bark, helps brands deliver their message through TV and online advertising. Take a listen to hear how, why, when and where it makes sense to advertise! 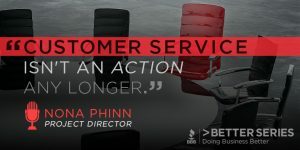 The customer may not always be right, but they should always be first. Jump into the Winter 2018 issue of TRUSTED to see how companies are keeping their customers top of mind and how business benefits from this. 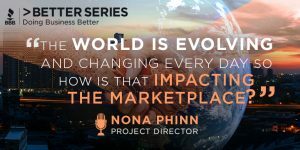 Nona Phinn, Project Director and acting Editor-in-Chief of BBB’s TRUSTED magazines tell us more about this exciting issue. 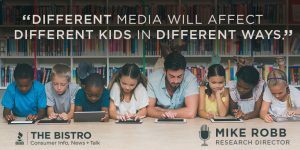 Michael Robb, Research Director with Common Sense Media shares helpful tips and advice on how to help kids thrive in a world of media and technology, all while staying safe online. Tune in on The Bistro.